One of the Holy Spirits tasks is to experientially validate for every believer God’s awesome love, acceptance, and encouragement toward each of His children. We “taste and see” that the Lord is good through the Holy Spirit, bringing his goodness to us (Psalm 34:8). We sense it and feel it deeply. We love how the Holy Spirit takes the intellectual concepts of love, mercy and grace of God and makes them practical and experiential. The Holy Spirit’s best work in people is seen in how He changes the way they relate to one another. You want the best part of your character displayed in your kids. It’s when your positive qualities, ways, words, actions and encouragements are reproduced In your child’s interactions with others that brings you joy. On the other hand, if they abuse, discourage and harm others with their way and words, you are grieved.” That’s not me,” you protest. I think our waywardness has the same effect on the Holy Spirit. 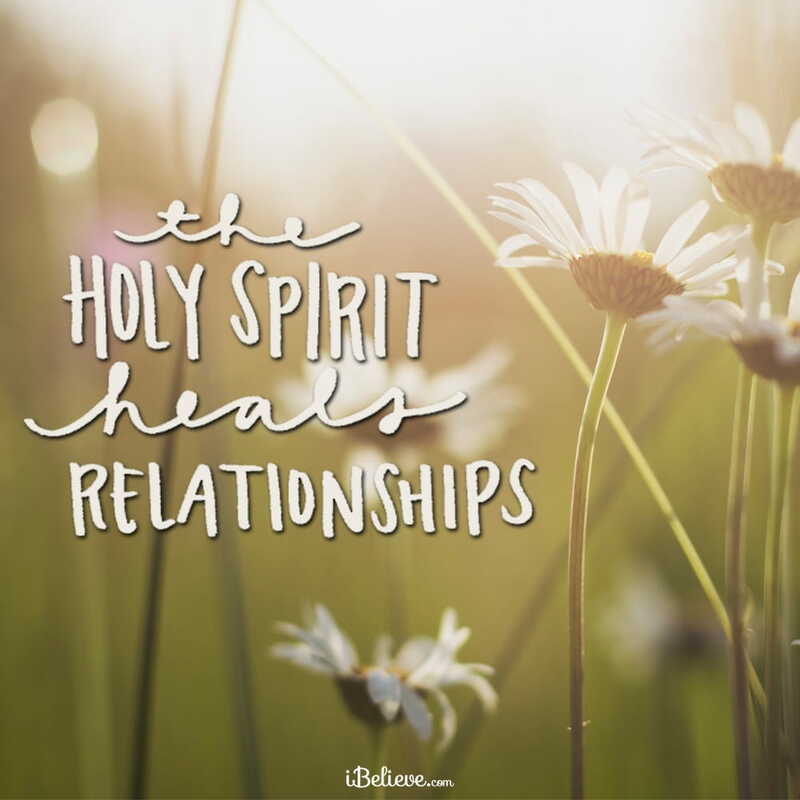 The Holy Spirit heals relationships. He does this by lending and prompting all believers to show to others what God has shown them in the person of Jesus Christ. His point: you didn’t deserve grace, but now that you have it, you better give it as liberally as you received it! If we don’t the same thing grieve the Holy Spirit. Jesus aggressively illustrated His heart in the parable of the unmerciful servant. You feel the Holy Spirit’s presence and you honor him when your character reveals the grace that Jesus has freely given you. Lord, I pray you would move the Spirit more boldly in my life. I know that any sin can grieve and diminish the voice of the Spirit, and I pray against the temptation to sin. Help me crave your presence more than I crave sin. Help me grow in the fruit of the Spirit and so walk closer with Yourself. I pray for guidance from your Spirit- let your will and promises always be a meditation of my heart. In Jesus’ Name, Amen. *Editor’s Note: The following is an abridged version of “Holy Spirit Impact” from Every Man Ministries. To read the full devotional, follow this link.